This week sees the long awaited launch of Crackanory on UKTV channel Dave, and there are many TVO connections involved. Described as ‘storytime for adults’ the series consists of six half-hour episodes split into two 15 minute tales, told by a guest story-teller sitting in a big comfy chair: a lot like Jackanory in the old days. The stories are illustrated by live action sequences performed by a cast of top notch comedians, plus a sprinkling of animation. And each one is promised to be a dark, comedic, twisted tale written by well-known comedy writers. On that writing team are the likes of Nico Tatarowicz (who was responsible for the sublime The Second Second Coming); Laurence Rickard of Yonderland and Horrible Histories fame; Psychobitches director and one quarter of The League of Gentlemen Jeremy Dyson; and The Actor, Kevin Eldon. Need we say more? 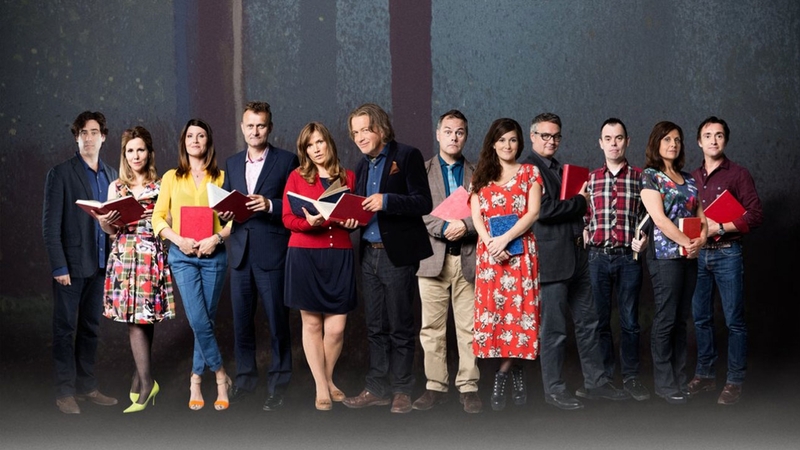 Well, as it happens, yes: because the live action cast for the illustrated sequences include John ‘Willie’ Hopkins, Martha Howe Douglas, Tom Meeten, Cariad Lloyd, Steve Oram and Alex Kirk, and storytellers include Rebecca Front, Kevin Eldon, Sharon Horgan and Jessica Hynes. So don’t forget to tune in on Wednesday night at 10pm on Dave, and if you can’t make it, the show will be available on Dave on Demand. If you want to know more, pop over to the Dave Website, and enjoy the gallery of storytellers below.